The International Monetary Fund said Friday South Korea's economy is forecast to expand 3 percent next year. 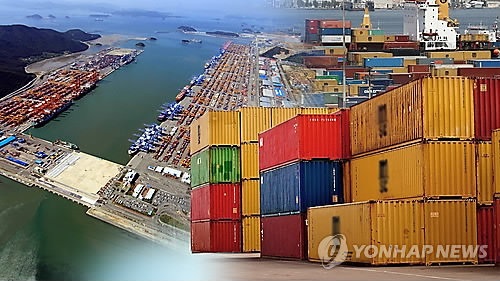 "Growth is projected to tick up to 2.7 percent this year and 3.0 percent in 2017, with inflation remaining subdued," the agency said in a report on the conclusion of its annual consultation with South Korea. "The anticipated pickup in activity is based on growing private consumption, a stronger housing market, and the impact of fiscal and monetary easing," it said. The agency said Korea's economy is facing a number of structural headwinds, including an aging society, heavy export reliance, pockets of corporate vulnerabilities, labor-market distortions and lagging productivity, but added that the country has "considerable fiscal space to manage these challenges." Export prospects will likely remain difficult, and credit is expected to continue to growth, partly reflecting the impact of interest rate cuts, but at a slower pace consistent with the tightening of prudential measures and the envisaged moderation in construction investment after 2017, the IMF said. The agency holds bilateral discussions with member countries every year to review their overall economic developments and fiscal policies. An IMF delegation visited South Korea earlier this year for meetings with government officials from the finance ministry, the Bank of Korea and the Financial Services Commission.